DURHAM (WTVD) -- By the time we caught up with Karl Kimball Monday night, it was after 7 p.m. and he'd already finished his first round of golf. He finished his first 18 holes in just 47 minutes and he shot a 64 - 7 under par! He was to be out there all night using glow-in-the-dark balls and glow sticks on the flag pins marking the holes. 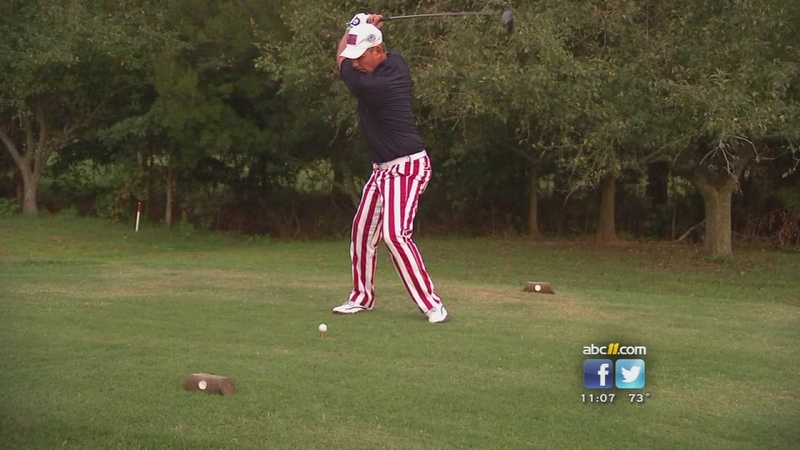 It was the 7th year for the annual Labor Day tradition at Durham's Hillandale Golf Course. 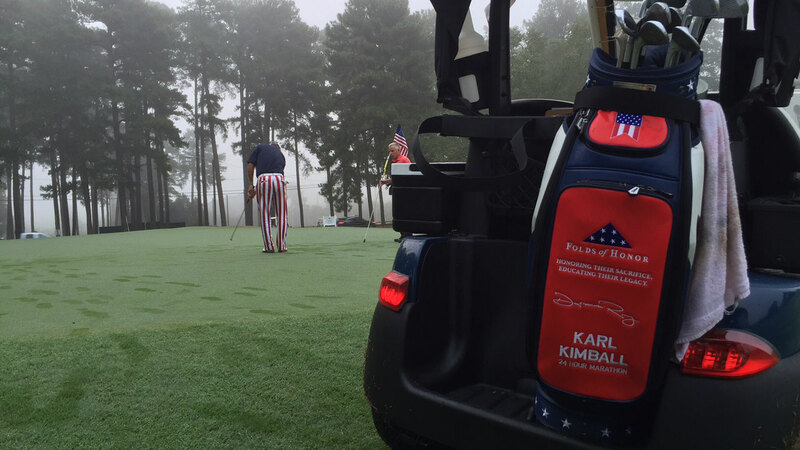 Kimball's 24-hour golf marathon raises money for the Folds of Honor Foundation which provides education scholarships for the children of fallen service members and wounded warriors. "We have a lot of children left behind, and they deserve to have a good education, and that's what this is all about," Kimball explained. Some donations were tied to the number of holes completed, so the faster Kimball played, the more money he raised. In the midst of the marathon, he had no time to stop, so we literally interviewed him while driving our own golf cart up with 7th fairway. "A lot of water, a lot of Motrin and every time we go by the 18th hole, it's an instant motivation," he said. The pace is so fast that Kimball used specially modified Club Car golf carts donated by the company just for the event. That's because traditional carts are just too slow for the furious pace. Over the years, Kimball and the club have raised thousands of dollars for scholarships. It's not too late to donate to the Folds of Honor. Click here for more.